Sage have issued their 2010 Q4 IRD (Interim Release Disk) which is a download available for users of supported Sage ERP MAS 90 and MAS 200 accounting software who need to update the tax processing aspects of their system. For supported versions of Sage ERP MAS 90 and MAS 200 (versions 4.x +) this primarily involves changes to the 1099, Electronic Reporting and Payroll Reporting modules. There are other changes included in the IRD as well. Here’s a copy of Sage’s 2010 MAS90 and MAS200 Year End Reporting Instructions. However if you are using any third party enhancements you must first check with your developer prior to installing the IRD. These enhancements also include any pre-written Extended Solutions (whether sold to you directly by Sage or by a third party developer after Sage exited the Extended Solution business). 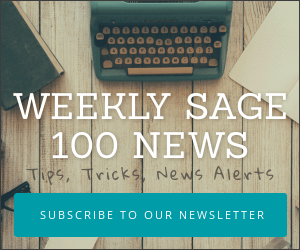 Sage’s list of Extended Solutions requiring an upgrade centers primarily around Payroll module enhancements though there are numerous Sales Order (version 4.3) that may require updating as well. One popular enhancement, PR-1017 Direct Deposit Interface, is noted as requiring an upgrade by any users of the enhancement who are also on version 4.0 to 4.2 of Sage EPR MAS 90 or MAS 200. Prior to installing this IRD please speak to your Sage Business Partner, speak to any third party solution providers whose applications you’re using and review this list from Sage of Extended Solutions Requiring Upgrade prior to installing the IRD for Q4 2010.